Ulverstone is a town on the northern coast of Tasmania, Australia on the mouth of the Leven River, on Bass Strait. Start off your visit on the 12th (Fri): identify plant and animal life at Wings Wildlife Park, then explore the fascinating underground world of Gunns Plains Caves, and then see the interesting displays at Don River Railway. 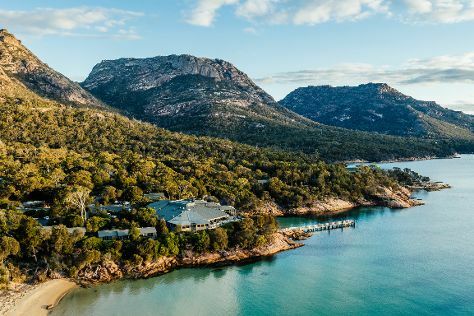 Get ready for a full day of sightseeing on the next day: explore the stunning scenery at Leven Canyon, then look for gifts at World Of Marbles, and then take a stroll through Tasmania’s Town of Murals. For other places to visit, photos, reviews, and more tourist information, use the Ulverstone holiday tool . Singapore, Singapore to Ulverstone is an approximately 15-hour flight. The time zone changes from Singapore Time (SGT) to Australian Eastern Standard Time (Tasmania) (AEST), which is usually a 2 hour difference. Traveling from Singapore in April, expect Ulverstone to be colder, temps between 20°C and 7°C. Cap off your sightseeing on the 13th (Sat) early enough to go by car to Launceston. Start off your visit on the 14th (Sun): learn about winemaking at Tamar Ridge Cellar Door, then identify plant and animal life at Tamar Island Wetlands, and then look for all kinds of wild species at Cataract Gorge Reserve. Keep things going the next day: explore the galleries of Greenoaks Gallery, explore the activities along Tamar River, then contemplate the long history of Brickendon Colonial Farm Village, and finally admire the sheer force of Liffey Falls. To see traveler tips, maps, other places to visit, and more tourist information, go to the Launceston planner . You can drive from Ulverstone to Launceston in 1.5 hours. In April in Launceston, expect temperatures between 20°C during the day and 7°C at night. Finish your sightseeing early on the 15th (Mon) to allow enough time to drive to Coles Bay. Start off your visit on the 16th (Tue): explore the striking landscape of Freycinet National Park. Keep things going the next day: learn about winemaking at Devil's Corner Cellar Door, let the kids burn off some steam at Melshell Oysters, then take in the exciting artwork at Kings Fine Art Gallery, then enjoy the sea views from Cape Tourville Lighthouse, and finally trek along Wineglass Bay Lookout. To see photos, reviews, maps, and more tourist information, read Coles Bay vacation planning website . Traveling by car from Launceston to Coles Bay takes 2.5 hours. Alternatively, you can do a combination of bus and car; or take a bus. Wrap up your sightseeing on the 17th (Wed) to allow time to drive to Eaglehawk Neck. 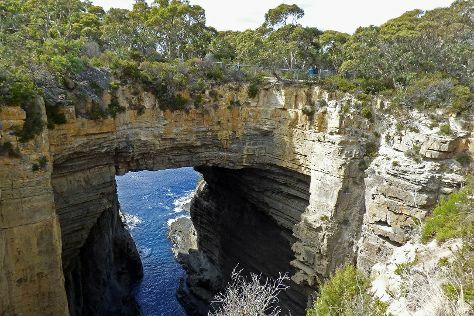 On the 18th (Thu), get engrossed in the history at Eaglehawk Neck Historic Site, don't miss a visit to Tessellated Pavement, then head outdoors with Tasman Arch, and finally stroll through Waterfall Bay. To find maps, ratings, more things to do, and more tourist information, go to the Eaglehawk Neck trip itinerary planner . You can drive from Coles Bay to Eaglehawk Neck in 2.5 hours. Expect a daytime high around 21°C in April, and nighttime lows around 9°C. Wrap up your sightseeing on the 18th (Thu) to allow time to drive to Hobart. 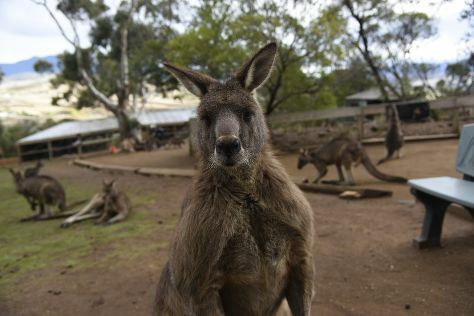 Kick off your visit on the 19th (Fri): look for all kinds of wild species at Bonorong Wildlife Sanctuary, then see the interesting displays at Museum of Old and New Art, and then wander the streets of North Hobart. Get ready for a full day of sightseeing on the 20th (Sat): contemplate in the serene atmosphere at St. David's Cathedral, then take your sightseeing to a higher altitude at Mount Wellington, then steep yourself in history at Cascades Female Factory Historic Site, and finally enjoy the sand and surf at Seven Mile Beach. For more things to do, other places to visit, and other tourist information, use the Hobart day trip planning website . Drive from Eaglehawk Neck to Hobart in 1.5 hours. Expect a daytime high around 21°C in April, and nighttime lows around 9°C. Wrap up your sightseeing by early afternoon on the 21st (Sun) to allow time for travel back home.